Nigel Reading is an architect, complexity geometer, sustainability advocate and Design Director of ASYNSIS Architecture + Design, working between Hong Kong-Macau, Shanghai and London. 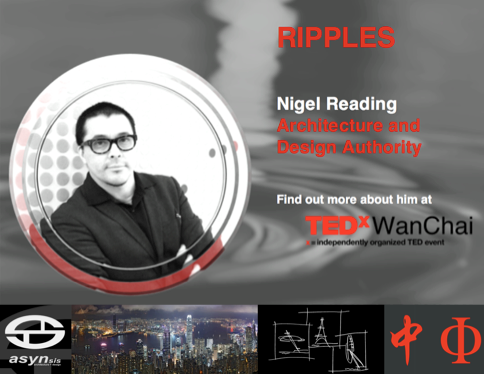 Raised in Hong Kong and Australia and educated in London, Nigel is the designer of the iconic observation wheel proposal Hong Kong Spin, and the co-discoverer of the Asynsis principle-Constructal law, a new geometric, thermodynamics-led sustainable design paradigm of nature and culture. His Asynsis principle “design as (arts bridge to) science” merges the contemporary with the contextual, synergising bespoke, culturally-resonant, beautiful, evocative, sustainability-informed designs that add maximum value to stakeholders’ projects and to client brands. The principle is also an opportunity to develop new transcultural, glocal-savvy fusion design approaches in Asia, melding Western concepts of aesthetic and geometric beauty in the arts and sciences with Chinese philosophical concepts of released energy flows, auspicious harmony, wellness and good fortune. His work can be described as learning from how nature designs for beauty by following the most elegant energy flow via optimally creative patterns. This can also be understood as the optimal release of “Qi” energy flow behaviours by designing with the most beautiful “Li” signatures. He does this by describing, not only how the Golden Ratio forms space, but also—uniquely in his field—how it flows in time to release most potential; as a source-code for emergence. Drawing from his years of experience in architecture and design, Nigel will shares passion for exploring the relationships between time, beauty and symmetry. He explains how innate elegance and evolutionary creativity in nature transforms into beauty and sustainability in culture, and explores with us how beauty and complexity best form and most easily persist, in time. Design Innovation and Sustainability Thought-Leadership. An environmentally sustainable design-experienced architect and urbanist; designing and delivering exceptional green buildings including for the BBC Broadcast Centre London (UK), Maitreya Buddha Project (India) and Kerry Parkside-Shangri-La projects (China). By education, training and experience – his both advocating and practicing first-principles, holistic thinking in world-beating, glocal-savvy “beauty meets function via optimal innovation” and integrated, sustainability-led design (through products, interiors and buildings up to city scale); while applying our Asynsis-Constructal “Form Follows Flow” “Dao of Design” paradigm through Asynsis projects, comes entirely as “Dao of Design” second nature. So we add truly exceptional, published, peer-reviewed, TED-shared, UKTI + RIBA-supported value because we conceived and now practice, our Asynsis design theory of everything. Hong Kong+Australia raised, London educated, ARB-UK-registered eurasian, bilingual Senior Architect and Interior Designer with substantial Masterplanning and Landscape design expertise. Over a decade’s experience in the Asia-Pacific including 10 years in China, Hong Kong-Macau, with numerous consultant, industry and stakeholder network contacts. Design, construction and operations optimisation method pioneer and sustainable design, glocal-savvy, thought-leader. Chartered member of the RIBA, founder member of RIBA-HK chapter, UCL Built Environment Club HK+SH, member Lighthouse Club HK and USGBC LEED GA accredited. How did London win the sustainability Olympics? What makes British architecture Great and Green (asks the UKTI GREAT campaign)? Prior to establishing Asynsis, Nigel was Lead Design Manager on the Grand Hyatt Macau, completing the City of Dreams development, including ARC-ID design development, fitout (Grand/Junior Ballrooms, Main Entrance Lobby, Spa, Bar-Restaurants plus 800 guestrooms including Executive, Diplomatic and Presidential suites), facade, services and structure. 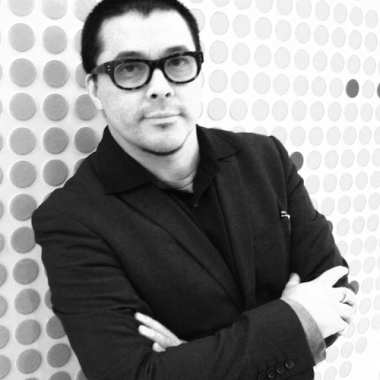 He also was the project architect of W-Square in Wanchai, working closely with the ARQ concept-design team to good effect on a very tight budget and deadline, this led to further close coordination as the Lead DM (all FoH ID, Facade and Engineering packages), with ARQ on the Grand Hyatt Macau, CoD – for which he has strong key references from the Client Design Management Leader, Leighton SPM and HBA Lead Interior Designer. Sustainable design projects include: Kerry Parkside, Maitreya Buddha, Eden, BBC and Hong Kong Spin (with Arup). Nigel led the Kerry Parkside (retail mall podium, Kerry business hotel, serviced apartments, both managed by Shangri-La; and commercial office towers), project as the lead consultant executive, managing architect in charge of designing and coordinating the architectural, interiors and engineering packages, liaising with client, consultant, MTR and statutory teams from concept to full construction sign-off. Kerry Parkside Shanghai －The practical sustainable building design business advantages? Kerry Hotel by Shangri-La, LEED Gold Certified under Asynsis Architecture + Design’s design director Nigel Reading’s leadership. The result? 25-30% energy cost (water, electricity, gas) savings, increased building value and tenancy rates, increased occupier well-being, health and productivity, CSR/PR-marketing benefits and reduced carbon emissions. A China benchmarking win-win-win for “people, profit, planet”. The last 10 years has seen Nigel initiating concept designs for an iconic, landmark observation tower by the harbour in Hong Kong (The Hong Kong Spin – backed by UKTI as an example of “high value big-ticket” British design excellence in China, engineered by ARUP), Shanghai World Expo 2010 China pavilions (Hebei + Xinjiang), Shanghai Swirl Huangpu river bridges proposal (also engineered by ARUP), and a Site Masterplan, Art Museum, Temple and Client Reception building for a large new cemetery for Shanghai, a stone and curtain wall construction industrial park, business hotel and VIP Guest villa, Hot Springs Resort plus a high-end sports fashion boutique for a HK client in Xujiahui, Grand Gateway, Shanghai. The same client is next looking to develop a shopping centre in Tianjin with Asynsis as concept architects. He is also designing a dockside Shopping Centre for an urban regeneration scheme in Dalian, a lakeside city masterplan in Wanzhou, Chongqing, a suite of riverside teahouse pavilions and clubhouses in Qingdai plus exclusive apartments and residential developments in Beijing and Shanxi. Most recent work includes Galaxy Cotai, InterIKEA Wuhan, Disney Resort Shanghai Hotels H1&H2, a Parkway Private Hospital in Pudong new Area, Shanghai, Khmer Condominiums, Bali-Lombok Eco-Resort and the Pacific Science Institute, Maui. A Mozart opera set design is also in the pipeline. His Asynsis principle “design as (arts bridge to) science” approach merges the contemporary with the contextual, synergising unique, bespoke-tailored, culturally-resonant, beautiful, evocative, efficient, optimal & sustainability-informed designs that add maximum value to stakeholder’s projects and to client brands; by best facilitating their resource flows, points of extraordinary difference and competitive advantage. The results are thereby always far more than the sum of their parts, since with “synergized simplexity – SynPlexity”, “more for less” and “form follows flow”, simplicity is always, the ultimate sophistication. Nigel has over twenty five years of UK, Australian and Hong Kong professional practice experience of which fifteen years has been as a Project Architect and Team Leader on several large scale complex projects in both the public and private sectors: ranging through civic, arts, theatre, commercial, merchant banking, broadcast, multimedia, transport, health, religious, residential, hotel, restaurant, retail and leisure developments. This experience includes the initial concepts, competitions and bids, project inception and implementation right through to site supervision and completion. Nigel has also worked on both the Client and Consultant side of the design and construction process, giving him unique insights into both roles. He is experienced across the full range of architectural services from conceptual design and consultancy, feasibility studies to project and contract administration, client and authority liaison, detailed consultant coordination to full documentation production, management and site supervision. This gives him exceptional versatility because of the broad scope and depth of his experience. He has instigated, designed and led several LEED/BREEAM–rated sustainable projects in the UK (BBC), India (Maitreya) and China (Kerry Parkside, Pudong New Area-Shanghai). Many recent Design and Delivery projects entailed his presentation and/or business development pitching to stakeholders including clients, government ministers, statutory authorities and in the case of Hong Kong Spin, the international media. 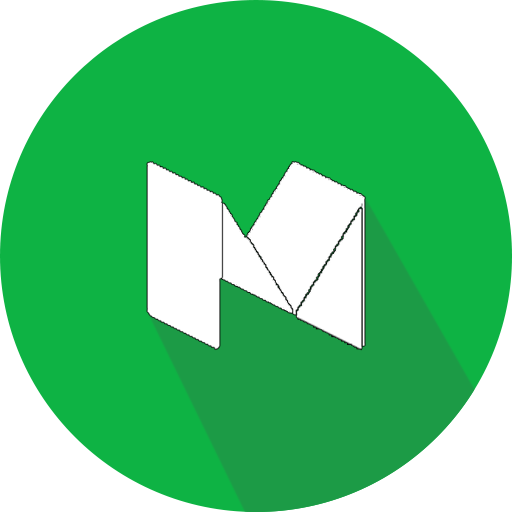 Furthermore, his network includes stakeholders including several leading Hong Kong developers with high profiles in China and the wider region as a result of the presentations on Hong Kong Spin, including Kerry Properties, Wharf, Wheelock, Sun Hung Kai, Nan Fung, Shui On and USI, amongst others. Besides some of the above developers, he also pitched HKS to the HK SAR government at senior ministerial level, to the statutory authorities, tourism commission and board, members of Legco and to the international media at the press conference held at the Excelsior Hotel, Causeway Bay. Business development and government liaison for HK and the China/East Asia region is now second-nature. He has also recently completed a UKTI Architect’s Trade mission to Chongqing and Changsha. He has several important high level statutory and academic contacts in Shanghai and HK as well, including at Tongj University, ECADI, Shanghai and Hong Kong Universities at Dean and Professor level. These contacts routinely lead to new project developments, often via initial master planning commissions or invited bids. Nigel is also a founding member of the Hong Kong Chapter of the RIBA & of the UCL Built Environment Clubs – in Hong Kong & Shanghai, both initiated in 2012. Nigel Reading is an architect, complexity geometer, sustainability advocate and Design Director of ASYNSIS Architecture + Design, Shanghai. Nigel is the designer (with ARUP), of the iconic observation wheel proposal, the “φ – Phi – Golden Ratio - 中－Zhong-shaped” Hong Kong Spin and co-discoverer of the Asynsis principle-Constructal law – a new geometric, thermodynamics-led sustainable design paradigm of nature & culture: the two are linked by Leonardo Da Vinci’s Golden Ratio, otherwise known as the Divine Proportion – in a new transformative, positively disruptive, paradigm-shift in our understanding of the relationships between nature, geometry, optimisation, aesthetic beauty and sustainability. Hong Kong Spin is a symbolic representation of the Asynsis principle-Constructal design law of nature and a tribute to the “one country – two systems” principle for Hong Kong. More 4 Less. A new optimal design, construction & operations paradigm. 3. String Of Pearls – Decarbonising HK2030+ pilot-project “green pathfinder” urban design and green-transport initiative for HK urban corridors and the harbourside (featuring 100% renewable energy-powered infrastructure, 100% zero-emission e-vehicle, cycling and walking routes, 100% green buildings). An esplanade of public footpaths, cycleways, PRT loops, public plazas, art-walks, playspaces, funfairs, observation wheels, open air theatres-cinemas, pavilions, markets, marinas, swimming pools, et el, to fully vascularise our urban flows according to our Form Follows Flow #AsynsisConstructal paradigm. All with sweeping, harbourside vistas of the spectacular, beautiful Hong Kong and Kowloon skylines. As a visiting Masters Supervisor of Transcultural Sustainable Space Design at Nantes L’ecole de Design – Shanghai University Fine Art & Design faculty and public speaker on the Asynsis principle Constructal law’s transformative influence on global design and development, Nigel is building transcultural bridges and helping to create a new global paradigm in cultural fusion, sustainable, vernacular-informed human-centred design. Being Eurasian himself, Nigel is ideally suited to synergise both the Western and Eastern cultures and traditions into powerfully Glocal, resonant and (trans)culturally sophisticated designs. Testament to this fusion-design aptitude is that testimonials are available on request from the Managing Principal – Lead Design MD for InterIKEA Wuhan and the Nantes Design School Transcultural Design Course Directors and Dean. Design, Delivery, Business Development, Thought-leadership and Discourse, Transcultural Design, Innovation, Environmentally Sustainable Design in: Mixed-use, 5 and 6-Star Hotels, Hospitality, Retail, Residential, Health, Rail and Transport, Education + Civic, Religious, Commercial + Banking, Media, Leisure, Theatre, Landmark Towers, Bridges, Industrial, Landscape and Master planning. Lead Concept Designer - Design Development and Coordination of Green Field Industrial Park in Qingpu, Shanghai, China. Themed on the manufacturing processes, tools and materials employed with references to the Shanghai Art Deco vernacular. Facilities: Office/R+D, Curtain Wall, LED, Photovoltaic Processing and Assembly, Stone processing, Senior/Junior dorms/VIP suites and hospitality amenities, Clinic, Retail, Gymnasium, Multi- purpose Hall. Shanghai Gaudong – Guadong Deep Water Port Business Hotel - Jinbo Design + Construct Group Alliance partners: Lead Concept Design Architect – Concept Design, Design Development of 4-star Business Hotel, Meeting, Conference and Serviced Offices facility in Gaudong, Shanghai, China. Developed from two initial concepts: Modernist Art Deco or Containers + Factory Gates. Facilities: 150 guestrooms, 20 cellular offices/4 floors of open-plan office floor, meeting room suites, fine-dining restaurant, lobby opening to water garden, multi-purpose hall. Supervising delivery team, sub-consultants and contractor under concept design consultant contract. Shanghai Xijiao State Guest Hotel environs, Hongqiao – VIP Corporate Guest Villa for Jinbo Design + Construct Group: Lead Concept Design Architect – Concept Design, Design Development of exclusive corporate hospitality villa in the environs of Xijiao State Hotel, preferred residence of numerous heads of state such as US President Barack Obama, Queen Elisabeth II, Emperor Akihito, Chairmans Mao and Deng. Developed from fusion of two initial concepts: Modernist Asian minimalism (referencing Scarpa) and Mannerist Renaissance Architecture. Facilities: 3 guestrooms, 4 bathrooms, study, walk-in robe, dining + ensuite, kitchen, salon, atrium, fountain, wine cellar, games room; over 4 floors with extensive use of alabaster, onyx, granite, quartz, exotic marbles and delicate stone-inlay/mosaic flooring. Supervising delivery team, sub-consultants and contractor under concept design consultant contract right through to completion on site in April, 2011. Additionally, it includes recent presentations of the new transformative, positively disruptive, paradigm-shifting Asynsis principle-Constructal sustainable design law of nature and culture which Nigel Reading RIBA, Design Director-Principal of ASYNSIS co-discovered – now in collaboration since 2012 with Professors Adrian Bejan & Sylvie Lorente of Duke and Toulouse Universities, USA & France. These two developments ensure that Nigel’s positioning now adds unprecedented, extraordinary extra value (plus crucially in this era, conferring market-leading competitive advantage), to both client brands and also to their new projects. This is by virtue of their having the opportunity to be associated with the proponents of a new global paradigm-shift and tipping point, a sustainable design principle of nature and culture informed by canonical aesthetic beauty codes that are profoundly linked to Asian philosophy which has universal applications for optimising global design, documentation, construction, operations and development in the built environment and beyond. The economic, societal and environmental benefit of assimilating the Constructal paradigm? To ensure our civilisation persists viably, efficiently and recognisably within a healthy, thriving biosphere with a vibrant, diverse, competitive, pluralistic but equitable, society (one with the most free flow, for the most); enjoying sustainable long term economic growth for the benefit of all our future generations. Nigel’s uniquely transformative position enables him to persuade our stakeholders that this objective is not at all incompatible with exemplary, beautiful, glocal-savvy, transcultural, integrated sustainable design – thereby adding exceptional extra value to both projects and their brands. In fact on the contrary, in today’s market (and increasingly more so in future), it’s a pre-requisite for an optimal return for the “people, profit, planet” Triple Bottom Line equation. It’s an exemplar for fully integrated design and development and the TBL of economic, environmental and social responsibility benefit – so as to ensure a win-win-win for all our stakeholders, whilst also stewarding and preserving a healthy planetary environment, the one on which we (and our societies and economies), all ultimately depend. The Asynsis proposition squares the circle: it adds Glocal-savvy, extra market value to any projects designed by us, trims life-cycle operating costs, bolsters CSR credentials, improves user wellbeing and so, also productivity while enhancing stakeholder + brand value – whilst also celebrating and protecting our environment upon which we all depend. In Asian cultural terms, our proposition enhances our client’s and users’ Qi flows with our beautiful, optimal Li forms and designs, ensuring their projects and their brands, are inherently, optimally auspicious. Form Follows Flow, Flow Free, Form Good and Flow Full, Morph (Evolve) More! Asynsis-Constructal: Synergising Simplexity with More for Less. A new optimal design, construction & operations paradigm merging beauty with optimisation and sustainability. 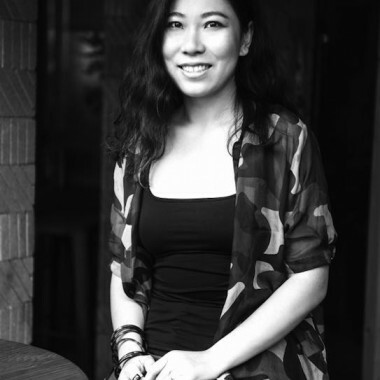 London educated, Hong Kong-Australian raised, ARB-UK registred eurasian bilingual Design Director Architect and Interior Designer with substantial Masterplanning and Landscape design expertise. Over a decade’s experience in the Asia-Pacific including 10 years in Shanghai & Hong Kong-Macau, with comprehensive consultant, industry and stakeholder network. In the Asynsis principle, a new paradigm design, construction and operations optimisation method pioneer and integrated, sustainable design thought-leader. Chartered member of the RIBA, founder member of RIBA-HK chapter, UCL Built Environment Club HK + SH and USGBC LEED GA accredited. Highly networked throughout China, Australia and Europe, with a primary focus on Shanghai and Hong Kong, applying expertise acquired over a decade in successfully bringing international goods and services into mainland China. Particular attention paid to client account-management based on experience and formal qualifications in the VIP travel industry, plus client-provider liaison skills in the PR & Marketing, advertising and graphic design, branding, fashion, hospitality, fine arts, education and new media industries, while commercially and culturally curating our urbanism, architectural and interior design studio. Seamlessly finessing our client-services, team management, financial and contractual operations to optimal effect, ensuring our clients are receiving the best possible added-value service in China, regional Asia, Europe and beyond.